Aircon installation in Singapore is extremely important. It is incredibly difficult to live in Singapore without a fully functional air conditioning installation due to the constant tropical climate. Before buying an air conditioner, you should first of all speak to a recommended aircon installer in Singapore so that they can advise you on what system will work best for your household. This is because with an aircon at home, you can be sure that you will be highly dependent on the aircon installation you chose, due to the constant hot weather in Singapore, so as to not feel sweaty and uncomfortable. There are many options of air conditioners for you to use. The most common types are the wall-mounted air conditioners and the window units. Wall units are fixed to the wall and cannot be moved, and it is connected to the outside of the wall too. 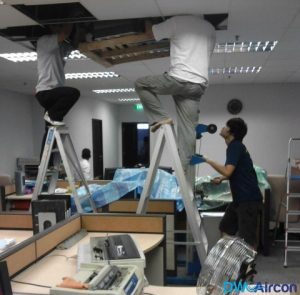 Wall aircon installation in Singapore is expensive but it saves you money in the long run. Window units can be installed without needing a professional aircon installer. They are extremely versatile and fit most spaces. 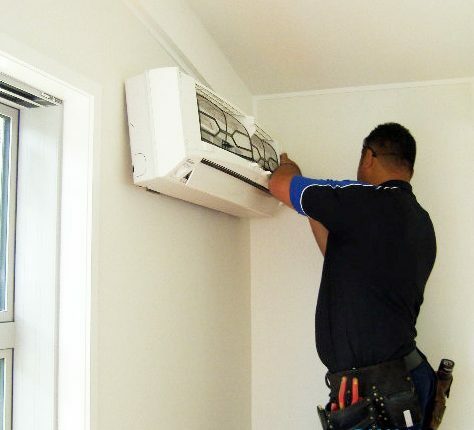 Depending on your home layout, a professional aircon installer can aid you in your decision. The power of the air conditioner you buy depends on the size of your room and what the room is used for. Kitchens are typically warmer than the rest of the house and need higher BTU rating aircons. Typically, about 5,000 BTUs is recommended for every 150 square feet of living space. This will help you gauge whether you need a higher BTU-rated aircon or lower rated units. Having a few aircon installed at home is good for your comfort. However, considering that running an aircon for several hours can cost you as much as $150 monthly per unit, it is important for you to know how to save on cost. When shopping for an air conditioner in Singapore, be sure to look out for the Energy Efficiency Ratio as this is sometimes what percentage saving you will get on your electricity bill. 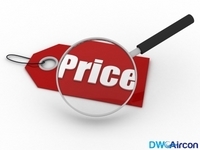 Aircon installation price in Singapore sometimes includes cost of installation and some optional upgrades and offers. These can include maintenance and servicing packages, upgrade offers and other warranties that you should consider. This is because that may be the only time you will get those offers. You’re better off going with as many offers as you can because they usually save you a lot of money in the future and reduce your liability in case something goes wrong. After spending all this time deciding which brand of aircon to buy, don’t play yourself by hiring a roadside aircon installer to fix it for you. You should check online or speak to friends and family about a recommended aircon installer in Singapore who will take care of your wiring, electric load and carry out a clean installation. DW Aircon Servicing Singapore is your preferred choice in the purchase, installation and maintenance of air conditioners in Singapore. 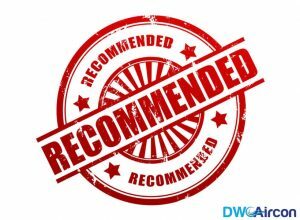 Call us today and our team of experienced aircon servicing technicians will help you choose and install the best aircon for you at a competitive price. Call us today at +65 6653 2988!